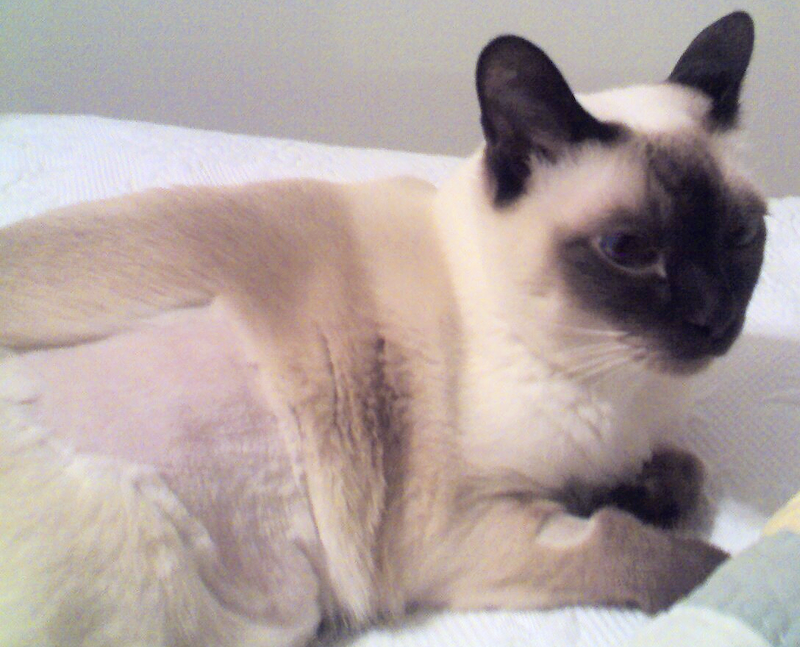 A Tonk's Tail... err, Tale...: Monday Medical Issues: Pet insurance - worth it? Just a few weeks ago, on May 7, Wall Street's MarketWatch published an article written by contributing author Jeanette Pavini that suggested pet insurance was a waste of money. First, there are an increasing number of affordable plans that begin as low as $4.08/month in the U.S. (at the date of this publication) for accident coverage only. That's less than half the price of a movie ticket these days. Excuse me? Have you seen what's playing on the big screen? Let's talk "waste of money" here. "...with most plans, the premiums rise and coverage declines as your pet gets older—when they are more likely to need costly procedures." So I went to three of the top pet insurance companies in the U.S. and asked them, point blank, if they did this. The answer, in all three cases, was unequivocally NO. VPI: "Our coverage does not decline as a pet ages. We will not drop a pet or reduce coverage simply because a pet is getting older." Trupanion: "Trupanion coverage does not decline as the pet ages. Perhaps they meant to say that coverage options (pre-enrollment only) decline?" Quite possibly that's what the author meant. Because it is true that the cost to insure a pet increases as the pet ages. And the older the pet, the more potential exclusions there will be if you opt into coverage at a late date. It's the same with human insurance, as well. But if that's what the Wall Street article intended to say...it failed. The article certainly didn't leave one with that impression. In our opinion, Trupanion was being very kind and diplomatic to give the author an "out." Then, at the recommendation of friend and artist Bz Tat, of Okey's Promise, I spoke with Laura Bennett, CEO of Embrace Pet Insurance, and Chairman of the Board of the North American Pet Health Insurance Association. Bz Tat, who also worked for decades as a child and family therapist, has a well developed ability to take the measure of a person and is someone whose opinion I respect. So when she referred to Ms. Bennett as a person who runs her company in a very principled manner, I asked for an introduction. “I was really disappointed that the author of the article, Jeanette Pavini, based her opinion of pet insurance on one friend’s experience with one company. Regarding the example she provided, it is true that a few pet insurers exclude hereditary conditions and given a Bernese Mountain Dog is prone to hip dysplasia amongst other conditions, that might have been the surgery she mentioned that was not covered; however, there are a number of pet insurers that do cover hereditary conditions (Embrace and Petplan being two of them) and even some of those that have not covered them in the past are adding optional coverage for breed-specific issues now (such as VPI and ASPCA). 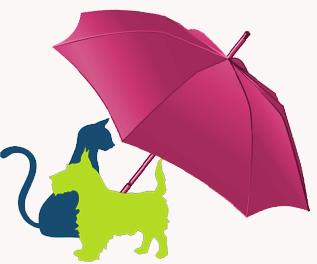 "Budgeting is for predictable expenses; insurance is for unpredictable and financially impactful veterinary costs. Unless you are very wealthy, budgeting can never replace insurance if you would do whatever it takes to help the health of your pet in a veterinary health decision." Having pet insurance may mean the difference between several more years of companionship or making that painful decision to euthanize. Ryker was insured. A few months after he passed away, I did the math. In the end, we came out ahead (not by much, but we did end up spending less on our vet bills with insurance than we would have without). All three of our kitties are insured, and they will remain so. If nothing else, the peace of mind, for us, is worth it. And no, I was not compensated in any way for this post. I simply happen to believe personally that pet insurance is worth it. Good for you and an excellent review. I've often wondered too if it was worth it. We wish we would have insured Mario the first day we got him, but we didn't. Thus we invested $10,000 in his mouth because of Stomatitis. Guess I'd like to know if that would have been covered by insurance because the dentist said it was probably an inherited problem. We are not wealthy by any means, but we have spared no expense at taking care of any of our pets. It is getting more and more expensive to do so, however. I'd appreciate reading more articles like this where there are comparisons. Pet Insurance a must and over this side of the pond it is well worth it and when we get old we are still covered no problem. Great review! Great article, and an excellent resource and rebuttal the the WSJ story. Ought to forward it to Ms Pavini. Also, I would like to point out that as our vet says over the years Pet Insurance has really evolved as to what it does. Ten years ago, I would have agreed with her but now the plans are doing much better. Even the vets are far more likely to be recommending various insurance plans. I am particularly glad to see this blog about insurance and wonder if I can find other good research that is unbiased. Fabulous article. We have featured Trupanion on Cat Chat so many times that we can barely count them. A few months ago we actually enrolled with Trupanion and what makes us super happy is our feelings about them were verified. One was by Snoopy's Mom (of Snoopy's Dog Blog) who has been with Trupanion and LOVES THEM...the other was an employee from our Vet who also vouched for their credibility by stating that SHE enrolled with them. That was all of the verification that I needed. I already suspected they were above-board having featured them for so long, I was glad to have that verified. And they can be reasoned with, too. Maxwell was such a mess when we first adopted him, and he came with loads of preexisting conditions as a result. We paid out of pocket to get him well - and to keep him well long enough for the illnesses to be moved from a status of "chronic" to "healed". VPI worked with us and were very willing to review his case each time I asked them to. One by one, all of his preexisting conditions were removed. It took meticulous note-taking and record keeping, and of course loads of care lavished on our boy to turn him into a healthy cat. But he's now completely healthy (deafness is NOT an illness!) and fully covered. Off course you shall have a Pet insurance ! My insurance that includes : Life , Vet.care and drugs cost about 200 U.S dollars a year and my mom say´s it´s worth every penny ! I usually trust what I read in WSJ, but I’m surprised at the errors and the conclusions derived this story. I have been with one of the above named companies for what is now the start of my seventh year. Two of my kidz have reached the aged of senior kitty and though their premiums have increased (purchased a new program for all three when Moshe Moshi came to live with us in 2009) which is normal for any insurance program, the increases have been minimal and nothing in their coverage has diminished due to their age or current health condition (anyone who reads my blog knows of what I’ve had to face in health issues this year). I have received back almost as much as I have put in and what is covered under their programs has not decreased nor asked to pay more that what is the regular increase COB, hell, even my health insurance premium adjust (COB – cost of business) . If you purchase pet insurance late in your pet's life, yes your premium will be higher and it may affect what is covered. My cat before my current three was purchased a policy while she was a senior cat and it didn’t cover anything preexisting, not uncommon so in her case after a year I dropped her program because the likelihood was that any illness she had would probably be related to the condition that was not cover by her policy. For our case my cats currently have grown with this company and their policies from being young cats to the beginning of being long in the tooth (ha, ha...) we have not seen a decrease in what is covered in our policies and their policies covers breed specific conditions. I pay good money for that coverage, but it has been worth it. I do agree with WSJ that we as owners should consider a health savings account for our pets and if you have a senior pet depending on what coverage is available that may be best in those cases, but this should not occur in lieu of having the insurance but rather as an assist since many policies are reimbursement based . Thanks and we couldn't agree more - on all counts. From our surprise at the WSJ (we, too, have never had cause to doubt them before!) to our experiences with pet insurance. From what we personally know, it's not run any differently than human health coverage. And it's well worth the price. Thanks for commenting!! The purpose of any kind of insurance is not necessarily to "save" money. The purpose is to give you assurance that you won't be devastated by huge and unmanageable costs when unforeseen events occur. Insurance companies cannot operate if they lose money by saving you money. We all hope that the unforeseen events DO NOT occur, and that you have spent money that does not get reimbursed. But if the events DO occur, you have some comfort in knowing you won't be financially devastated. Pet insurance is worthwhile if it takes care of you when unforeseen events occur, AND if the monthly rates and terms are reasonable. I think your review shows that this is the case with the companies that you discussed. We could not agree more! Thanks again for introducing us to Laura! My employer changed benefits plans recently and is now offering pet insurance. I never knew it existed until hearing about it through work. It was added after the fire occured so it wouldn't have helped me with CJ's bills but it's something i am considering purchasing now. It would have been a huge help after the fire. Excellent review. I believe in pet insurance and have it for both of my cats, Truffle and Brulee. Be very wary of companies that don't publish the rate of reimbursement and fees they will cover, especially when they state the reimbursement will be at the "regional" average of charges. I cancelled my policy with ASPCA for that reason. I never knew what they would and would not cover and no one would give you a published list of acceptable charges. I now have Trupanion for Truffle and Brulee (as well as Angel Sweet Praline) and am very pleased with them. You can set your own deductible and after paying that deductible, you are reimburses 80% of allowable coverage. I've never been surprised. I guess the only disadvantage with all of the insurance companies is that they are reimbursement unless the vet is willing to submit the form and receive payments. I haven't found a vet that is willing to do this yet.